Following its ‘Kick-Off Meeting’ in Hunderfossen, Norway in January 2018, EPICA has successfully completed the first phase of cementing its strategic international partnerships. 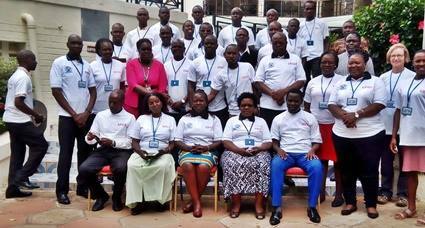 Three Open Day events were held this April at EPICA’s African partner universities. The intention was in part the dissemination of the initiative’s project details, but the primary objective was to engage in a dialogue with local stakeholders, on whose input the project ultimately is built. 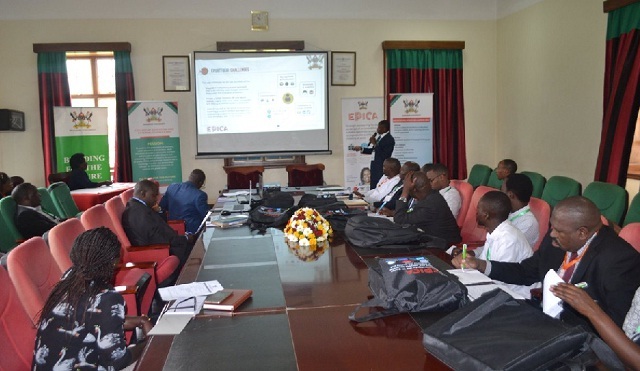 The first Open Day was held at Makerere University, Uganda, on April 12th 2018. The meeting was attended by around 50 engaged stakeholders from the business community, the educational sector, the Ministry of ICT & National Guidance, as well as members from the teachers’ and students’ bodies. The Deputy Principal of the College of Education and External Studies, Associate Professor Paul Birevu Muyinda, proceeded to outline the goals of the EPICA initiative. He remarked on the approach to the project’s inception, as well as EPICA’s medium- and long-term deliverables. These include workshops organised at EPICA’s partner universities as well as at the prestigious eLearning Africa conference. 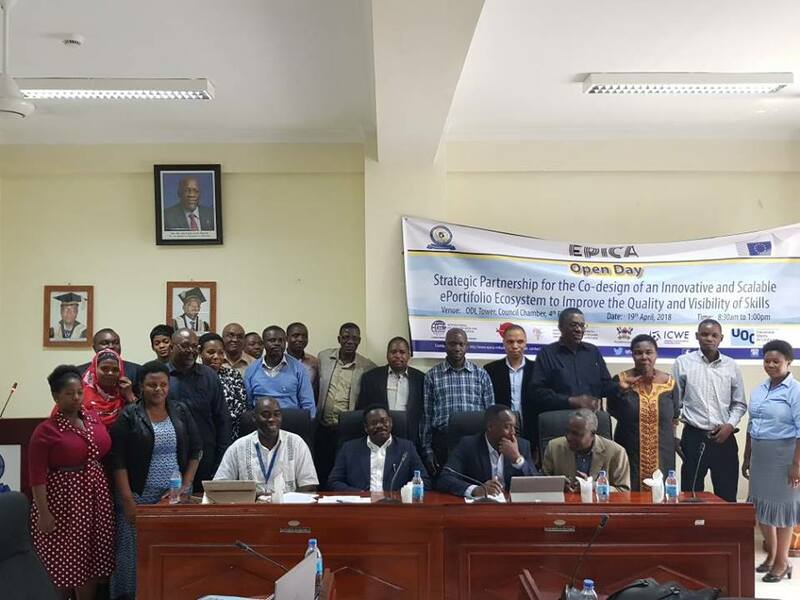 The EPICA initiative held its third Open Day event, which was organised by Kenya’ Maseno University in Kisumu in Western Kenya on April 27th. The University’s eCampus team presented EPICA’s innovative strategy to 50 stakeholders. Those in attendance included company representatives from the Kenya Power & Lighting Company (KPLC), the Kisumu Water and Sewage Company (KIWASCO), the National Museums of Kenya, the National Industrial Training Authority (NITA), as well as the Kanaan International College and the Ramogi Institute of Advanced Technology (RIAT). The broad spectrum of stakeholders’ institutions highlights the relevance of the topics EPICA addresses. Michael Opiyah, Head of the eCampus Team and local EPICA Project Coordinator, gave a number of detailed introductory presentations about EPICA and its strategy to the local stakeholders. A curriculum that emphasizes the complex outcomes of a learning process (i.e. knowledge, skills and attitudes to be applied by learners) rather than mainly focusing on what learners are expected to learn about in terms of traditionally-defined subject content. (…) It implies that learning activities and environments are chosen so that learners can acquire and apply the knowledge, skills and attitudes to situations they encounter in everyday life. Throughout all three Open Days the stakeholders were reminded that their participation is crucial in providing the feedback needed to continually re-specify which skills the market requires graduates to possess. To that effect, all the attendees were encouraged to participate in the deliberations, and asked to complete a questionnaire in which they could highlight their own concerns and needs. This information was later analysed and discussed in focus group sessions. The discussions provided a refreshing opportunity to raise concerns: lack of funding for the educational system; graduates who need more practical skills instead of theoretical knowledge; graduates with insufficient communication and marketing skills; while what the labour market needs are employees who can take the initiative and find innovative solutions through creative and interdisciplinary problem solving mechanisms. The success of these primary events – as measured by the interest and attention they attracted through the attendance but also in the media – is an important first step toward the implementation of the desired ePortfolio system. It is clear that a solution to the well-known skills gap is urgently required; and not just on behalf of employers. University graduates will, on an individual level, be the main recipients of the benefits that EPICA is working towards. At this point we should all be encouraging an alignment of a university education and the requirements of the labour market. It is one of the few investments that truly has the proverbial power of the rising tide that lift all the boats.